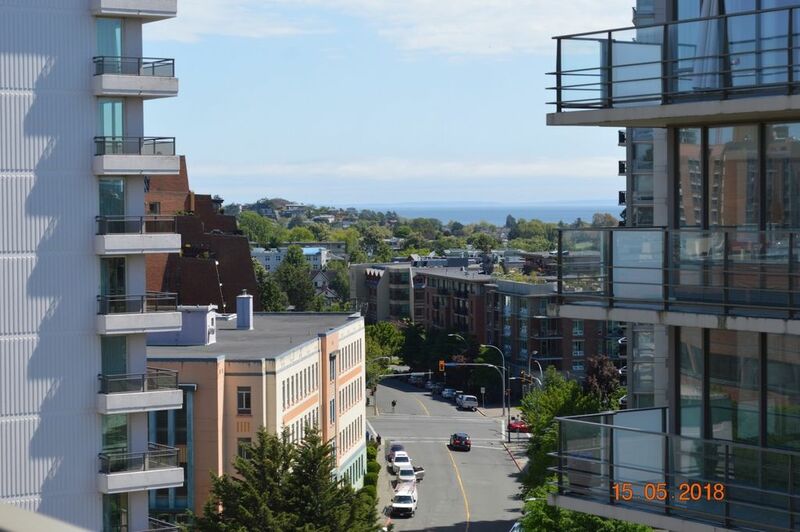 This contemporary 1 bedroom condo is located in the heart of downtown Victoria. The master bedroom has a queen bed, comfortable living room, gourmet kitchen and close to all amenities. The Falls has an outdoor swimming pool, hot tub and a fitness facility in the building. There is secure underground parking or you can walk to all shops, restaurants and museums. - Guests may arrive on any day of the week. - Housekeeping is provided prior to arrival and after departure. Please review Elite Vacation Homes Rental Agreement for further details & policies, sent in a separate email after booking. (Required to solidify your booking). Our daughter was married here in Victoria this weekend. While she stayed at the Empress we were in this beautiful condominium a few steps from her. We could walk to fisherman‘s wharf, The Empress Hotel, whale watching , and Chinatown. The owner is wonderful and accommodating. You can’t go wrong booking this unit!